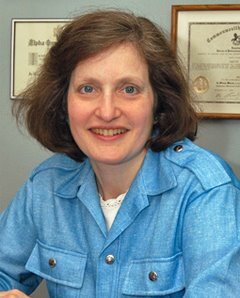 Orthodontist Dr. Judith A. Okun - Westchester and Rye Brook, NY: The "Magic Wand"
The "Magic Wand," technically called the Electro-Acuscope and Myopulse machine, was originally developed in a hospital environment for patients suffering from burns and serious injuries. Today this technology is used to treat athletic injuries and victims of accidents. Professional sports teams like the Chicago Bears and Bulls use this technology routinely so that players can get "back in the game" more quickly. The "Magic Wand" accelerates healing and repair of injured tissues of the body while relieving pain and discomfort. It works by using a computer to first evaluate a tissue's ability to conduct electricity (injured or painful tissues conduct more poorly than healthy, comfortable tissues). 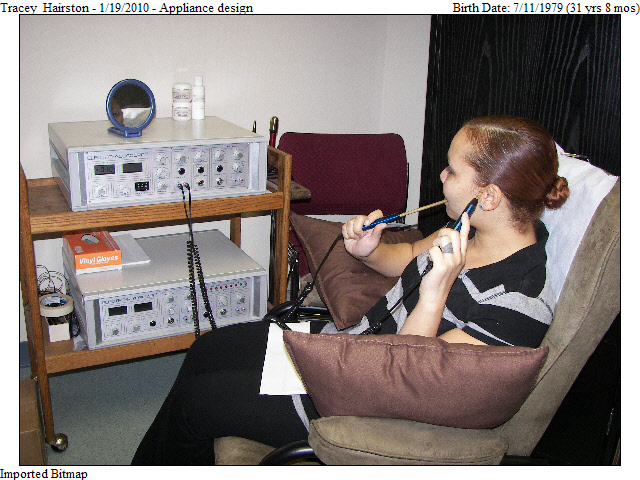 The "Magic Wand" then electronically stimulates the tissues to a more normal conduction rate. The "Magic Wand" results in incredibly rapid tissue repair, which means less pain. Patients suffering from jaw and neck muscle pain related to Temporomandibular Disorders get remarkable relief and improved jaw function after only a few treatments with the Electro-Acuscope/Myopulse. Orthodontic patients can use the "Magic Wand" to relieve the occasional soreness that may follow adjustments. The "Magic Wand" is available to all our orthodontic patients after every appointment. We encourage you to ask for it any time you want!! !